Some think of aerodynamics as a new science, and that old cars were like bricks. Really? Volkswagen decided to find out. But it didn’t chose a popular old car to do so, quite the contrary. 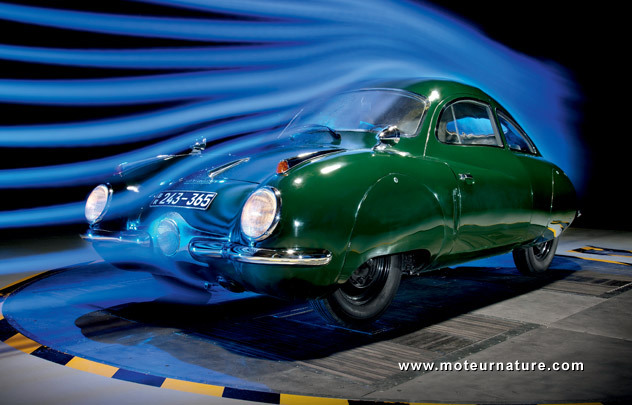 Engineers tested a car which was believed to be a marvel of aerodynamics in its time. 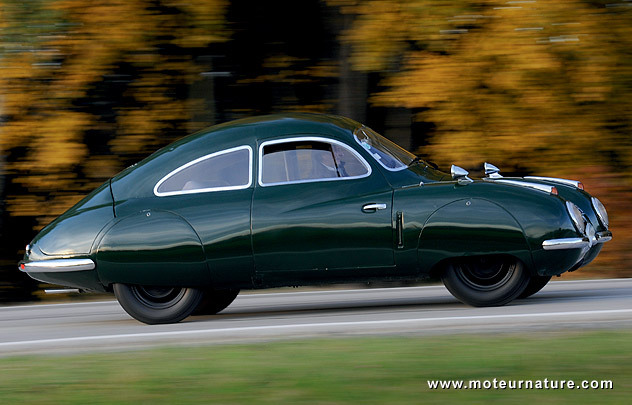 That was a Sagitta V2 from 1947, built from a 1944 design. A handful had been built back then, and one survivor was put in a modern wind tunnel. This car was the work of Reinhard von Koenig-Fachsenfeld, a genius known his work at Zeppelin and Mercedes, before he signed the famous BMW 328 Wendler Stromlinie Cup in 1937. There were no computers back then, Koenig-Fachsenfeld had nothing but pens and paper to make his drawings. But when toady’s engineers checked his work, they had a big surprise. Frontal area is 2.10 m², and Cd .217. This is better than the latest Golf, which has a frontal area of ​​2.19 m² and .27 Cd value. Admittedly, the Golf is much wider and taller, but some seven decades ago, Reinhard von Koenig-Fachsenfeld knew very much what he was doing. Only the Volkswagen XL1 (1.50 m² frontal area and .189 Cd) is better today.